This plan was used by the United States Marine Corp. It could be used as a carrier based aircraft in a fighter bomber role. It first entered service in 1943. 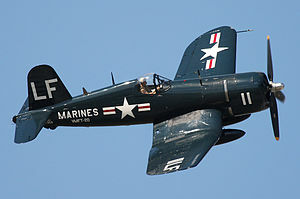 During the Korean War it was mainly used in a ground attack role supporting American Marine. The planes also used by the French during their war in Indochina.